Ease of use: The website and software have a decent design and the website is pretty informative. The software does feel like more of a website than accounting software though. That said, it is easy to navigate and find your way around. The software also feels very flexible but we think it is a little too loose and is open to errors. For example, Xero lets you delete important accounts such as the VAT accounts and the set up wizard only asks very basic and unspecific questions which we think could cause problems later. Speed: Xero is fast to navigate, there is no lag whatsoever. Entering invoices is a little slow but there is an option to enter bulk bank transactions which works pretty well. Features: Features include bank feeds, multi currency (but only in premium), invoice design, stock control, receipt upload, lots of third party add-ons for e-commerce etc. Support: Good knowledge base available, community, email support, training events and webinars. Good support overall but no telephone support available! 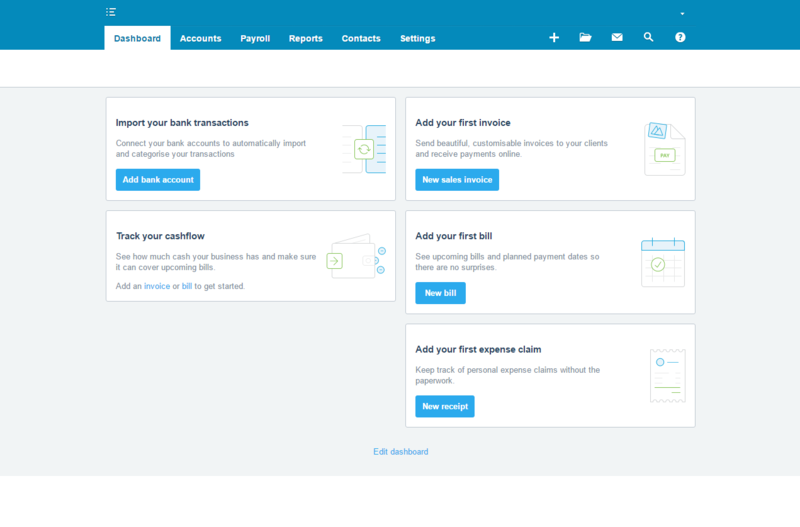 Reporting: 30 reports within Xero which all offer the ability to drill down into balances. However, the reports are not laid out in a particularly user friendly way which may cause some user confusion. Price: Slightly above average in terms of pricing. There is a basic package which is cheap but it limits the invoices/bills to 5 per month which is not going to be enough for the vast majority of users. 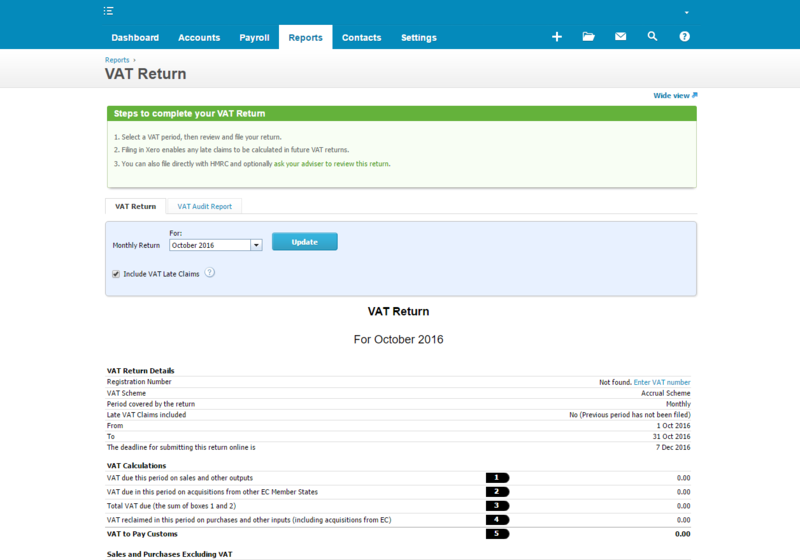 VAT Handling: Xero did support cash accounting and the flat rate scheme but it could not handle the switch between accruals and cash at all. There was also no warning messages that it couldn’t switch, which could leave users at risk of incorrect data being returned and not paying the correct amount to the VAT man! The VAT in general is handled very loosely in Xero. The bits we liked: We liked the automatic VAT treatment of certain expenditure. This would help reduce errors from inexperienced users and saves time when entering the VAT code also. We also liked how each nominal account was explained within the chart of accounts. The bits we didn’t like: The set up wizard did not collect enough information and the VAT was far too loose. Users should know how to spot bookkeeping errors so we think some experience would be required.